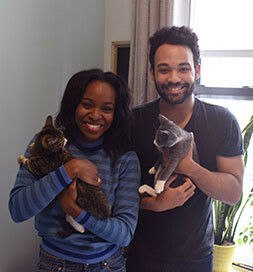 When Mathé and Jordan visited the PS9 Pet Store hosting cats from New York Animal Care and Control last December, they knew they wanted a cat, but two? They didn’t see that coming. 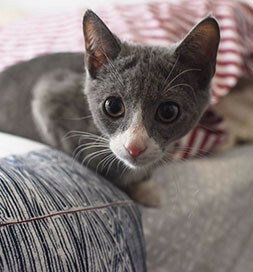 To their own surprise, the couple left with two young kittens, and now they can’t imagine it any other way.